I feel like we’ve arrived at the point in history where everyone walks into a Pixar movie expecting excellence. I know I’m certainly at that point, but believe me when I say nothing could have prepared me for the quality of this movie. Inside Out follows the story of a young girl named Riley and the five primary emotions that power her: Joy, Sadness, Disgust, Anger, and Fear. As Riley transitions into a new chapter of life, Joy and Sadness are thrust into an adventure that could drastically alter Riley’s future. With its brilliant combination of heart and humor, Inside Out is Pixar’s magnum opus that perfectly personifies the process of growing up. This movie is nothing short of an animated masterpiece. Inside Out is a family movie above all things, so it only makes sense that it’s nothing short of hilarious. Pixar obviously knows how to tell jokes that will entertain kids, but there’s also a fair amount of humor to be found for the adults. The success of this humor can be attributed to the terrific voice cast. Perfectly timed commentary muttered at the ends of greater points had me laughing until tears ran down my face. Perhaps the best part about these gags is that the movie doesn’t stop to relish in them. Inside Out goes from one comedic beat to another seamlessly. 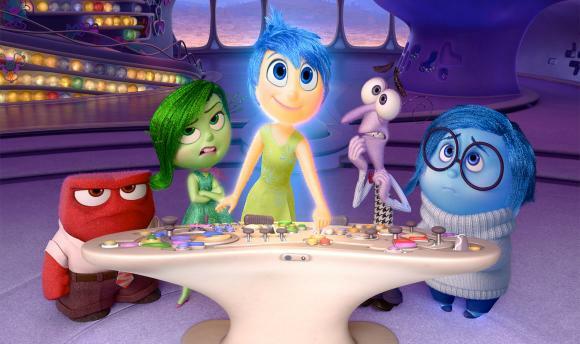 Strangely enough, Inside Out’s most moving moments don’t come in the way moviegoers would expect. They hit not when something sad happens, but when the movie portrays concepts of life that everyone has gone through. As per Pixar’s style, the most emotional points of the movie are the ones that embody some sort of realization, transformation, or acceptance. It’s something we’ve seen before in Pixar movies, but it resonates stronger here than it ever has before. These moments—these experiences—are the difference between a smart movie and a brilliant movie. There’s so much more to this movie that I don’t want to spoil for you, so let me leave you with this: Inside Out is a downright beautiful cinematic experience. It’s going to be a very long time before we see another movie that perfectly encapsulates the human experience in such a fun and charming way.